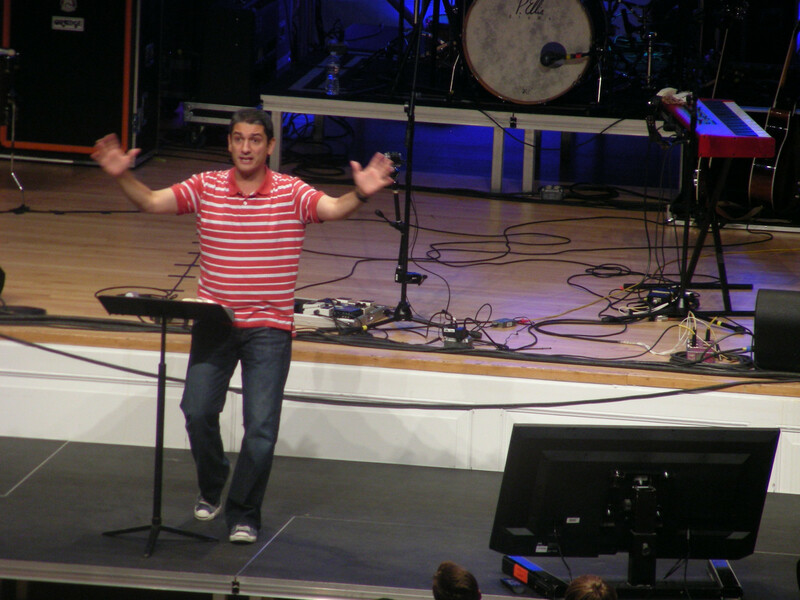 At Momentum 2014, Afshim Ziafat tells his story of spending five years of his early life in Iran, coming to Christ as a teenager, and having to choose between his faith and his family when his Muslim father demanded that he renounce Christ. Thursday morning’s Momentum Youth Conference started off with excitement in the air as Ed Lewis, director of CE National, announced the total amount of offering collected from the night before. 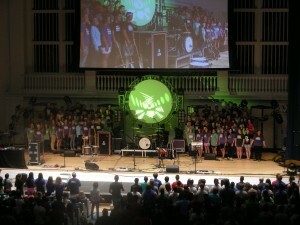 In a conference of 2,100 attendants, more than $21,000 was collected to be used to send aid to the Central African Republic (through Encompass World Partners and missionary Barb Wooler), an orphanage in Haiti through NuLife Ministries and Urban Hope, an inner-city ministry of CE National in Philadelphia. The offering also helps support efforts in Chicago outreach during the week of Momentum as well as assisting the poor in Chicago. Randy Smith, pastor of the Grace Church, a Grace Brethren church in Sebring, Fla., gave a brief, powerful devotional, using the vivid metaphor of the armor of God to challenge students to the importance of drawing strength and protection from fellow believers, including those who are more mature in their faith. Keynote speaker Keith Minier, lead pastor of Grace Fellowship, a Grace Brethren church in Pickerington, Ohio, gave a convicting message about the cost of following Jesus. “God puts fences in our lives not to restrain us, but for our protection,” he stressed. “It is intellectually dishonest to trust Jesus for what he says about saving you but not for his commands. You shouldn’t want the parts of Jesus, you should want the person of Jesus. After the session, students dispersed to take part in a variety of free time activities, including tennis, corn hole, ultimate Frisbee, and rock climbing. They convened again in the evening to hear from Afshim Ziafat, a speaker with a compelling story about following Jesus with his life. 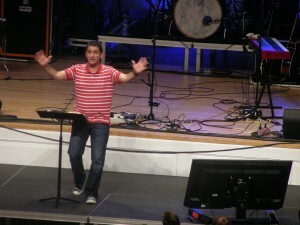 He told the story of his Muslim background, spending five years of his early life in Iran, and coming to Christ as a teenager. When his dad found out, he demanded that he renounce his faith. When Ziafat refused, his father disowned him. The Operation Barnabas student choir performs during the Thursday evening session at Momentum. 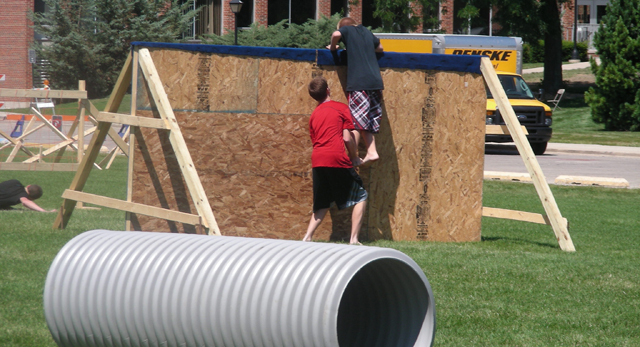 Featured Image (above): Students help each other over the barrier’s during Thursday’s Momentum Dash, an obstacle race for teams of four, teams of two, or individuals racers.